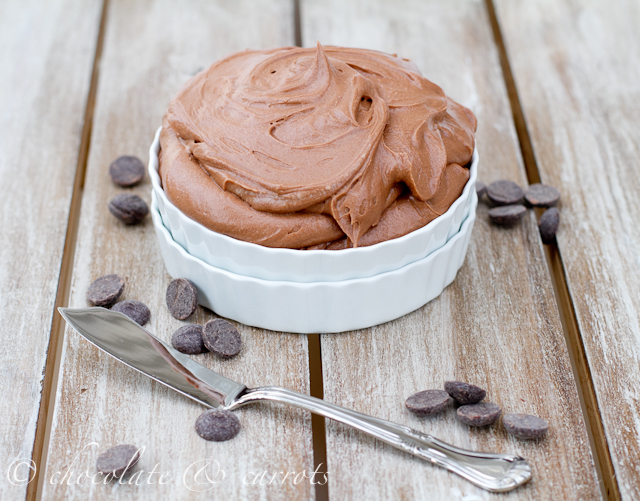 I have something special to share with you next week that uses this chocolate frosting! Get excited and have a superb weekend! Would you eat this on cupcakes? a cake? or by the spoonful? OR ALL THREE? Have any fun plans for the weekend? Superbowl party perhaps? Servings: Frosts a dozen cupcakes, fills and frosts one 8″ or 9″ two layer cake. Love this! 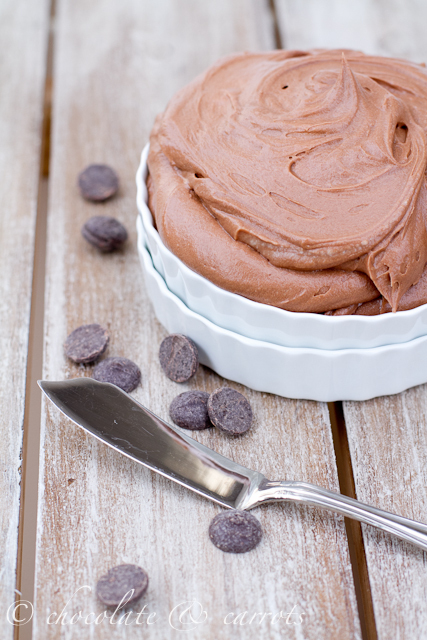 Everyone needs a good chocolate frosting recipe! Ohhh hello you beautiful frosting. I’ve always shyed away from chocolate frosting because I’m awful at getting chocolate at the right temperature and mixing it with butter. One of these days. Yum, can’t wait to see what you make with this! Uh yeah definitely all three and I bet it would be fun in so many other ways too! Mmmm frosting. Great picture! I would like to eat this by the spoonful please. Delish. I have been looking for a good choc frosting recipe. I will try this one tonight. This is delicious! The best frosting recipe ever! I just made this. It is awesome! It tastes like a milkshake. I could eat myself sick! I did not have the heavy cream so I threw in some 2% milk and some ricotta cheese (left over from lasagna). I’m guessing those added up to the 1/3 I needed, maybe a tad bit more. I also used regular store chocolate chips so, I added more chips. It is the best icing I have ever made. I will be making this again!